Janice King was born on May 6, 1943 in Pittsburgh, PA to Ruth and William Thomas. She was one of eight children. In 1954 the family moved from the Hill District to the Northside of Pittsburgh. She was educated in the Pittsburgh Public Schools and graduated from Allegheny High School in 1961. Janice accepted Jesus Christ as her personal Lord and Savior at an early age. In 1964 Janice married Fletcher A Robinson and moved to San Diego, CA. From this union she gave birth to two sons: Fletcher A. Robinson, III and Raymond P. Robinson. Sadly in 1970 her oldest son Fletcher drowned in El Toro, CA at the age of five. Janice has lived in Orange County since 1970 and is a retiree from the Rancho Santiago Community College District (Santa Ana College) where she worked for many years as a computer lab assistant. She married James “J.J.” King on May 24, 1984 in Mission Viejo, CA and they shared thirty-four wonderful years together, working for worthy community causes and traveling. A charter member of the National Coalition of 100 Black Women of Orange County, Janice was vice-president of membership and held several other leadership positions in the organization. She was an advocate and active member, along with her husband J.J., in the National Alliance of Mental Illness (NAMI), spending many years teaching “Family to Family” education classes. 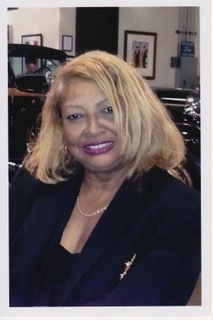 For several years Janice had her own business, Creative Images, and sold African-American themed art throughout Orange County. Her close friends have known Janice to be a voracious reader who has been a member of several book clubs. She enjoyed home decorating, playing golf, opportunities to hear live music (particularly jazz), and attending theater productions at venues throughout the greater Los Angeles-Orange County area. Travel was a highlight in her life, having most recently visited Washington, D.C., New York City, and Bermuda with her husband. She and J.J. loved entertaining and were known for hosting fun annual parties for family and friends. Janice is survived by her husband James J. King, son Raymond Robinson, stepdaughter Jerilyn King-Brown; sister Mary Evans of Charlotte, NC; four brothers: John Thomas, William (Sharon) Thomas, Adrian Thomas, and Darren (Tonya) Edwards who all reside in Pittsburgh, PA. She also leaves two aunts: Wilma Riley of Pittsburgh and Charlie Mae Wilson of Atlanta, GA. Janice was preceded in death by her grandparents, Albert and Mary Snowden; her mother Ruth Edwards; her father William Thomas; her brother Charles T. Thomas; her sister Gwendolyn Jackson; and two uncles, Carlton and Emmett Riley. Her family, a host of nieces and nephews, and wonderful friends, will truly miss her.